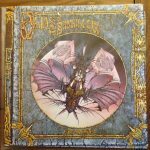 With Jon Anderson playing two songs from Olias of Sunhillow live on his 1000 Hands Tour, we felt it was time to watch/listen to some recordings of Olias material from through the years. This is music which has not been performed very often – and we think it should have been. What Olias songs are being performed live in 2019? How does the band configuration work? On this tour Anderson’s vocals are amazing as he was with ARW recently , a far cry from the fragile voice and appearance he had when I saw him in Toronto way back in 2008 just prior to him becoming gravely ill, he cast a very sad , sick looking man leaving the venue that night but now he looks great and that glint is back in his eye . 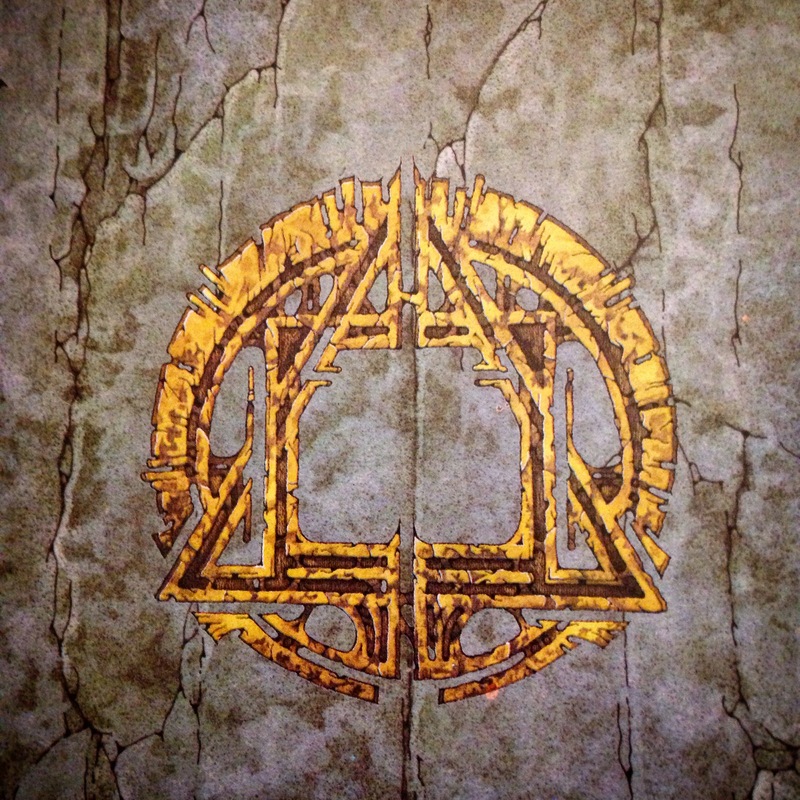 Solid Space not solid state in my post , meant to say if i could see this band play all of Moon ra / chords / song of search that would be the icing on the cake , I would be a very happy man !! We all need dreams . Good episode chaps and I agree with almost everything you say on this matter. I would however like the opportunity to see Jon live doing this show in the UK, a little more crossing and squeezing of fingers together is needed to produce that I believe. Olias my special album, which came to me at an important time when I was about 16 years old. Its just a joy to hear it still, how lucky are we as fans eh? We are a demanding lot us Yes fans and probably no more demanding than Jon, Steve or anyone else in Yes. We want these songs mostly as we first heard them, not changed or messed with. However rather than no Yes or Olias live I’ll take these and Yes songs from Jon because we still can. I do agree that the set up sound is more for solo and Olias than Yes. Anyway my favourite subjects get covered here again which is Olias of Sunhillow and Yes music. Excellent choice for the subject this week, well done. 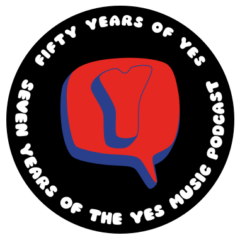 Jon’s penchant for reducing songs to a minimum reached it’s peak way back in 2000 on the House of Yes show: Time And A Word – chorus, chorus, the end. 58 seconds. A “mountain dulcimer,” eh? Small, thin, lightweight, three strings: great for hiking! Three strings? Call it a “gui,” then. Jon is playing a Strum Stick (https://strumstick.com/). Yes, it is based on a dulcimer design, but simplified. It has 3 strings and in the case of the D version, would be tuned D A D; a simple D chord without a 3rd. I have a Merlin, made by Seagull of Canada. It is the same idea, a bit bigger. It has 4 strings D A DD. Sadly Jon will not be in my part of the country on this tour. Still hoping that Yes and friends will make it on the as-yet-to-be-announced part of their tour. I have no problem with Jon or Yes reworking songs. They wrote them, and many of the great songs have been played live 100s of times. Why not a reggae Your Move? I liked the reworked acoustic Roundabout. Better continued creativity than museum pieces. But there are limits. If Awaken ever has a metal version, let it not be Yes that does it! I’ve never really got along with Olias. I want to love it and there are some really fantastic atmospheres to enjoy but it has a lack of harmonic sophistication that bugs me. There are loads of interesting ideas and some lovely melodies but nothing terribly surprising happens in the music. I have the same problem with a lot of solo singer songwriter gigs – unless the playing is exceptional (Roy Harper and Joni being two prime examples of that) you are left with quite a flat musical experience – a top line and something fairly basic and repetitive to support it. The songs and the singing have to be exceptional otherwise I am getting really bored really quickly. In a way Anderson has the mixed distinction of having released a very commercially visible precursor to the whole Wyndham Hill thing. It’s that notion of undisturbed / un-disturbing beauty and perpetual tranquillity in music. It was not a new idea in 1976 but certainly not mainstream. He certainly wasn’t the only person doing the kind of thing that became known as New Age but it was a relative backwater at the time of Olias. Can’t think of any other figures in rock bringing that kind of thing into the mainstream that early. I don’t think the likes of Tangerine Dream. Popol Vuh and Mike Oldfield count as their aim was not to engender passivity. They were composing for the attention of an intellectually active and supposedly more sophisticated listener. In that sense Olias really is quite a new thing for a top rock n roller to be doing. Anyway where Squire and Wakeman (and later Moraz) I think were crucial to Yes was in providing harmonic ideas (especially in the choice of bass notes) that were unlike anything else going on in pop or folk or modal jazz . The Beatles pointed the way to that kind of complexity in the Pepper era but Yes took it to a whole other level. Not to mention the ability to develop an idea. Anderson is known to be a big classical fan and has wanted those textures and the grand sweep and big visions but the others knew how to actually do that that kind of thing within the engine of the music and then how to extend the composition. Anderson’s solo work extends ideas more via repetition with shifting layers (like Adams and Glass and Riley in a way) than the sort of traditional classically influenced development you hear on CTTE, Fragile, TFTO and Relayer. Where I would disagree with you two (which is rare for me) is JA’s penchant for doing outside the box arrangements of Yes material. I don’t necessarily like a lot of them (especially the cod world music stuff and lets please leave reggae to musicians who really understand how to play it) but, as with Dylan, it’s up to the composer with what he does with those tunes. I really enjoyed the Jean Luc Ponty record for example. I can’t imagine the other Yes men feel disrespected. Perplexed maybe. Annoyed? I would be really surprised but you never know with this band! I’ve just listened to the podcast and I couldn’t disagree more with Mark’s comments about the current tour/band. Mark, stop going on about changes to the arrangements, the absence of Steve Howe’s guitar licks, or making comparisons to Police gigs. Frankly I dislike Jon’s cod reggae too but surely the writer is entitled to rearrange their own work? BTW Mark, you seem to be okay with what Yes did to a Simon and Garfunkel song but not what Jon did to the Yes version of it – really? I can’t imagine what you think about Solid Space buried in the Wurm section of Starship Trooper -Shock! Horror!! I think the gig should be evaluated as a whole, not songs in isolation on YouTube. While, for me, the lowest points were Owner (I really don’t need to hear that again but I admit it was a great opener) and Makes Me Happy (just too light and poppy for me) it was a very well balanced gig. This wasn’t a Yes gig and I wasn’t expecting it to be. The Jon Anderson show I saw in Wilkes-Barre was a joyous occasion and was way better than I dared expect. Kevin, I hope Jon tours in the UK so that you get the chance to see him. Great to hear from you. The great thing about this podcast and it’s listeners is that there are so many different views and opinions. If you like the changes Jon has made to the songs that’s fantastic. ..but I don’t have to agree with you. And my opinions on these topics are exactly what Kevin wants to hear. And in regard to my being ok with Yes changing the original version America…I just prefer their version…even Paul Simon liked it….they could have easily turned it into something I didn’t like…but I really think it’s superior to the original. I just don’t think Jon’s version is anywhere near as good. But that’s just my opinion. Thanks for listening Ken…we appreciate your support. Another interesting chat chaps. I agree mostly with your thoughts. The only thing I’d disagree with is Mark’s comment on the arrangement of ‘America’. This is not a Yes song so as I see it Jon is doing it as a new cover version with a completely different set of musicians. Next Next post: No episode today – Happy Easter if you celebrate it!